Vault Micro has experience in carrying out the WHQL testing for almost all types of devices. As a vendor, we have identified the root caused of problems and provided accurate guide for passing the WHQL testing. When it comes to the Windows Hardware Quality Labs Testing (WHQL Testing), it lays down concrete criteria for compatibility for making it possible for hardware and software to operate stably in Microsoft Windows, which means that it is an authentication process. When your product passes the WHQL authentication test, Microsoft will provide a digital signature file and allow you to use the Windows logo. Microsoft Windows will generate a warning window or shut off the activation if a driver without a digital signature is to be installed. 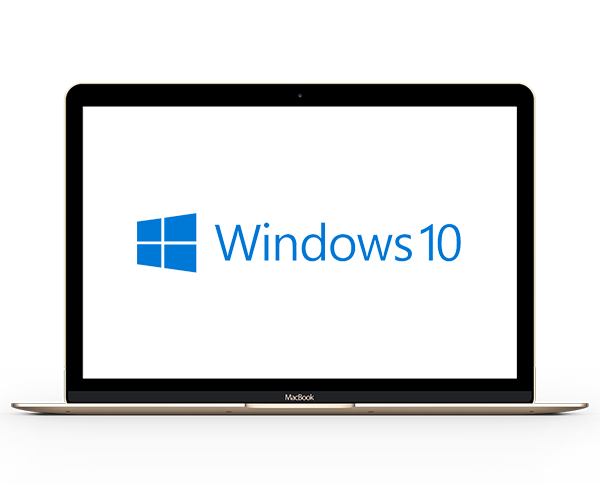 Once the Windows logo is attached on your product, it proves that your product is designed and tested according to the operating system requirements from Microsoft. Accordingly, the logo will help your product gain the trust of users in its quality and make your product differentiated and more competitive compared with other products. 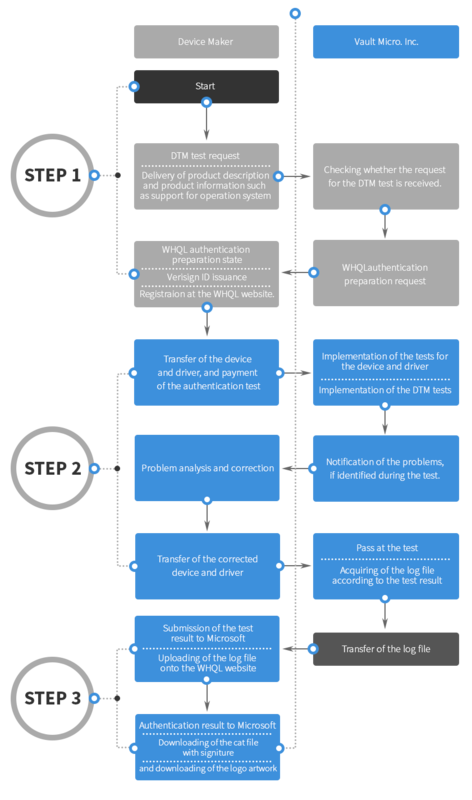 The WHQL authentication process will take place as below. 2nd floor, 215-5, Hangangro-1(il)-ga, Yongsangu, Seoul, Korea. Vault Micro, Inc. Copyright(c)2011 Vault Micro, Inc. All Rights Reserved.